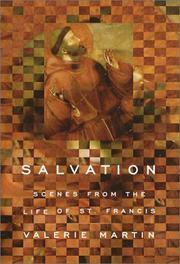 Literate, sympathetic vignettes from the life of St. Francis of Assisi. Novelist Martin (Italian Fever, 1999, etc.) puts her storytelling skills to good use in this impressionistic, respectful appreciation of St. Francis’s life. Many of the scenes are so well realized that they resemble tableaux vivantes: Francesco di Pietro Bernardone’s repudiation of his family wealth for a life of poverty, his mysterious acquisition of stigmata after weathering a mountaintop storm, his conversations with crusading knights and dangerous beasts, his painful death—all these spring to life from the page. Drawing on a wealth of documentary evidence, but cheerfully inventing dialogue, the author takes pains to emphasize that “though San Francesco was a great mystic, he was also entirely of this world,” with all the attendant urges and frailties. For all that, Martin does a fine job of depicting Francis’s otherworldly qualities—as when, in one memorable episode, an errant spark sets his robe on fire and Francis refused to allow his fellow monks to put it out, murmuring, “Oh, do not harm Brother Fire.” (Later he goes naked, explaining that he feels shame for denying Brother Fire a meal.) Though not overly concerned with historical setting, Martin offers useful asides on Francis’s era, noting, for instance, that his radical renunciation of money came in a period when currency was an increasingly important instrument, and when guarding it grew into an obsession among Italy’s well-to-do. Martin observes that she is not a Catholic or particularly religious, not a scholar of medieval Italy, “not even a man.” Nevertheless, her nuanced, thoughtful portrait of the medieval Italian reformer, so torn between manhood and sainthood, will be of great appeal to many.